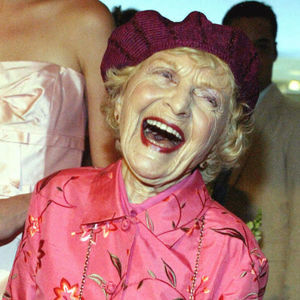 LOS ANGELES (AP) — Ellen Albertini Dow, a feisty character actress best known for her salty rendition of "Rapper's Delight" in "The Wedding Singer," has died. She was 101. Her agent, Juliet Green, confirmed to The Associated Press that Dow died Monday. Her breakout rap in "The Wedding Singer" led to memorable and often foul-mouthed character roles in films like "Wedding Crashers," ''Road Trip" and "54," as the drug-addled party girl Disco Dottie. Add your thoughts, prayers or a condolence to Ellen's guestbook.